Our research team is thrilled to share the recording of our webinar “An Introduction to Creating Space for Strength: An Asset-Based Community Development and Research Project Focused on Calgary’s North Central Communities”. We had over 40 people sign up for the webinar. The program lasted approximately 45 minutes and included chat dialogue from many community participants. Thank you to everyone who attended and contributed. As promised, here is the recording. Feel free to share it with others. Our new community development project is underway! We are hosting an introductory webinar that will share an overview of an exciting project we are involved in. Come and learn about a research project designed to find out what our communities’ strengths and assets are, what can be improved, and how. We are particularly interested in hearing your opinions about our strengths, some of the problems faced by our community, particularly in terms of space, and what solutions we can generate to build an even greater community. There are plans for interviews with interested community members this fall and winter and roundtable discussions will take place in February 2013. We are interested in hearing your voice! This is your community and your opinions, suggestions and advice will help create recommendations on how to move ahead with space issues in the community. There is no cost to attend the webinar. Everyone is welcome. 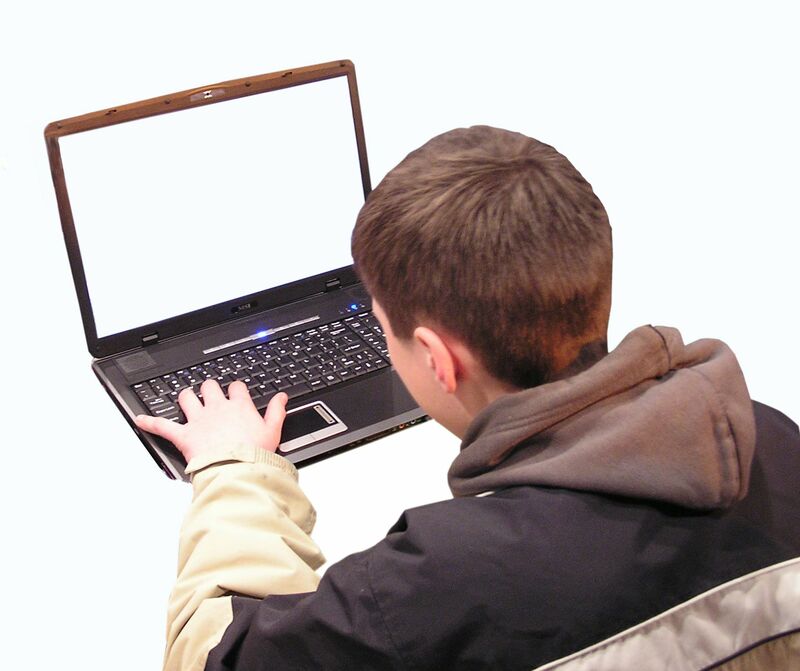 A computer with a sound card and high-speed Internet connection are necessary to join the webinar. If you know someone who is interested in community development in these areas, please feel free to share this invitation with them. We can accommodate up to 100 people in the webinar and there is no cost to attend. If you cannot make the webinar in person, a link will be available through the Northern Hills Community Association website afterwards. The Center for Interactive Learning and Collaboration (CILC) is a national U.S. service that offers virtual learning programs and professional development programs for educators. Every year, CILC confers awards on those who have top scores in their program evaluations — in other words, based on how participants evaluate our programs. was applicable to professional growth. aligned to presenter’s stated objectives. contained strategies that will impact student learning. 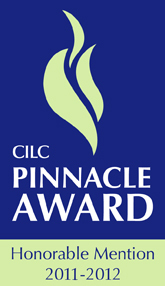 Each question has a numerical value and drives the CILC Pinnacle Award. This year, I was thrilled to receive an honorable mention for high quality virtual programming and PD webinars. This is the second time I have received an honorable mention in the Pinnacle Awards. The first time was in 2009-2010. Check out the list of all the professional development award recipients. Mine is listed under my company, Eaton International Consulting Inc. I love working with CILC. 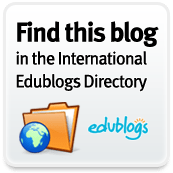 They create amazing opportunities for students, teachers, administrators, leaders and others to engage in collaborative or innovative programs with presenters from across the globe. They also create opportunities for people like me, who love to do offer programs virtually, the chance to connect with new people from across the United States. Thank you to the clients who took the time to evaluate my programs and give them high marks. I love working with you. This week I posed a question to my students: What makes a good research question? 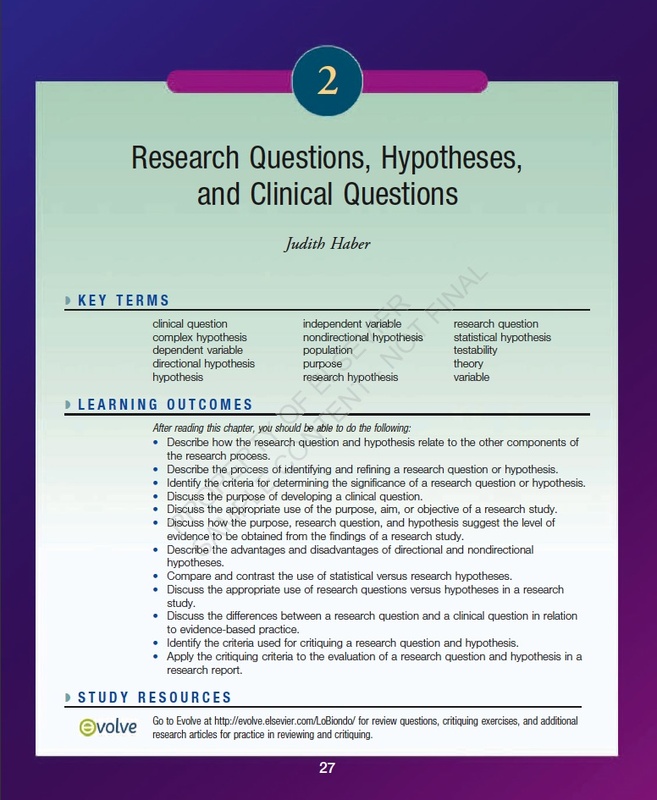 This is a website (http://www.socscidiss.bham.ac.uk/) that outlines the characteristics of a good research question. Then it talks about each characteristic in detail. It is written in clear language and is very well organized. The page also contains links to other helpful resources on research. 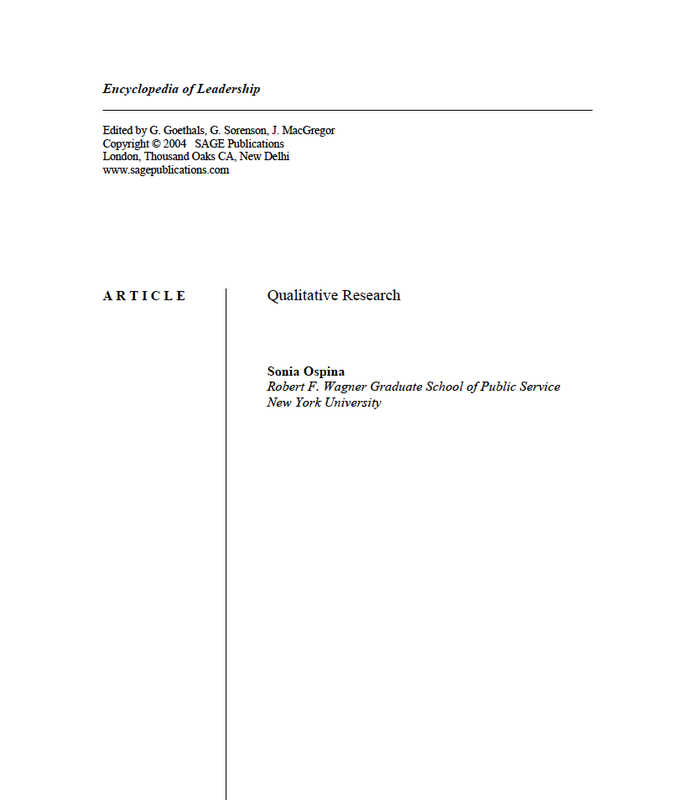 Figuring out how to craft a research question can be tricky. Resources like these help to demystify the process. You can see the power bar and extension cord coming from the residence. 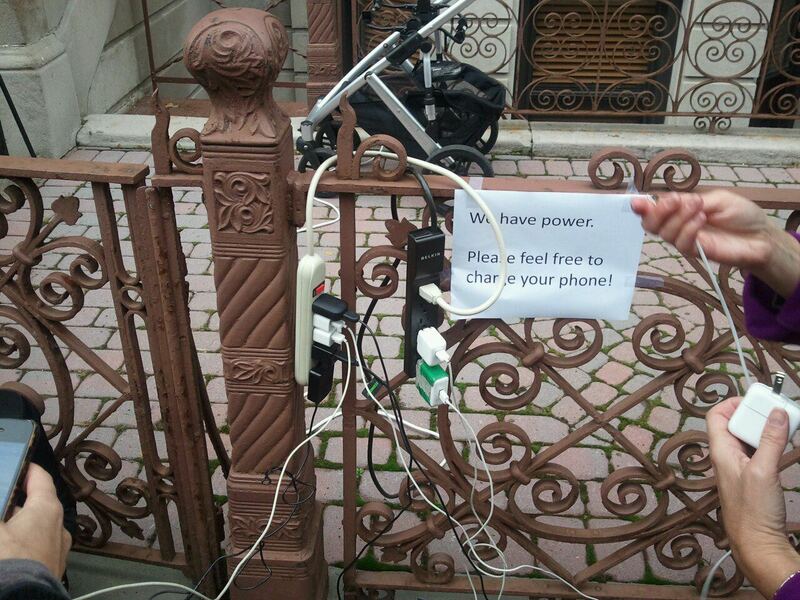 You can also see people gathered around, with mobile phones plugged into the power bar, so they can charge their devices. Once charged, the phones can be used to communicate family and loved ones who are far away, or even those who are close by. The line on the sign “We have power” means so much more than “We have electricity”. When we help others, we always have power. You are currently browsing the Learning, Teaching and Leadership blog archives for November, 2012.